If confusion is the first step to knowledge, then a lot of practice owners I’ve talked to about online marketing, must be rocket scientists by now. They are mostly frustrated because they don’t know where to focus (or they’re focusing on the wrong activities). It’s easy to get overwhelmed because there are literally hundreds of online marketing options to choose from — and the choice of where to advertise is getting bigger everyday. 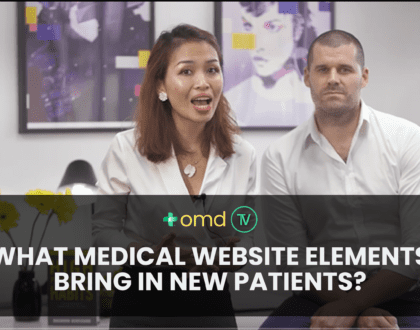 If you’re serious about building a legitimate online presence, then read on to discover four of the best online marketing channels that every small and medium sized practice should use. You won’t need extensive marketing budgets to employ these tactics but you will need patience and consistency. Remember that online brands aren’t built overnight. Stick at it, though, and eventually you’ll either connect with today’s newest customers. Or end up working for NASA as a rocket scientist! Search traffic is massive. Consider these numbers. Google search engines process more than 100 billion searches every month. Its major competitors Bing and Yahoo handle more than 3.6 billion searches per month and 2.2 billion searches per month respectively. It’s easy to see why ranking high in search engine results can be a game-changer for our practice with all that search activity going on. Not only does solid SEO get you noticed but it is also proven to win customers. Google’s research suggests that, roughly half of the customers who search for local practices on their Smartphones end up buying from the stores during the same day! SEO is not a cost but an investment with high return. Compared to the costs associated with other forms of online marketing such as PPC advertising, social media marketing, or purchasing leads for an email marketing program, SEO provides fairly good ROI. While Pay Per Click (PPC) may drive more revenue and social media may be more important for your image, your organic SEO in many ways remains bedrock of your online presence. Figure 1: There is no question that SEO is changing; however, to say it’s dead is completely inaccurate. In fact, when it comes to lead generation, traffic from SEO is leading the pack. SEO is an efficient way of increasing your sales without proportionately increasing your marketing costs, thereby delivering an exponential growth in profits over time. SEO can further all your practice goals at a better ROI than most other comparable forms of online marketing because of this fundamental effect of better conversions and more sales at little incremental cost. Most clicks go to the top spots on the first page of search results. If you can lift your rank to one of those top spots you can gain a massive return on your modest investment into SEO. It’s why SEO has been likened to real estate investment – the returns can be truly astounding when you get it right. 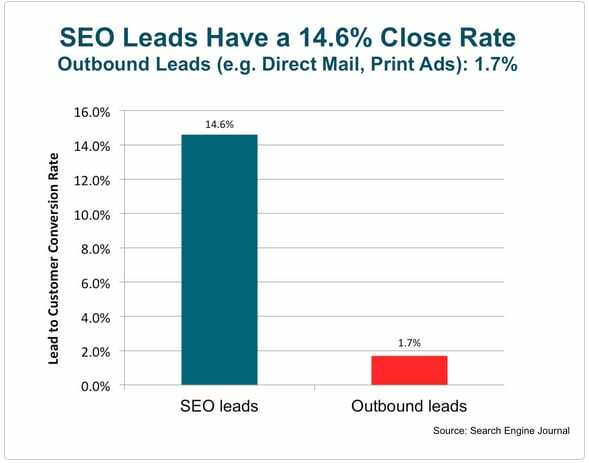 Figure 2: According to Search Engine Journal, leads from SEO have a substantially higher close rate than outbound leads. Remember, SEO is a never-ending process, if you become complacent and content with your position you will lose ground to a competitor who is determined to move forward and improve theirs. That’s a simple fact of how the process works. 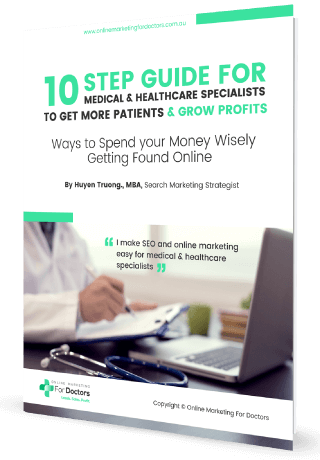 Don’t let your competitors outplay you by ignoring this valuable tool for your practice. Think about it. It is open 7 days a week, all year long, and never calls in sick or reports late to work. 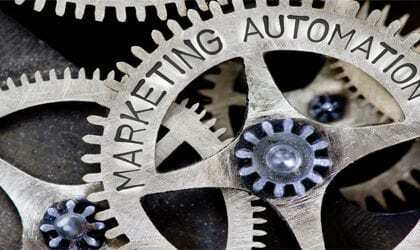 It does whatever it’s told to do, and pulls in sales, leads and opt-ins like clockwork. Your website is your ‘perfect employee’, multitasking effectively, tackling thousands of prospects at once, and only limited by what you ask of it. SEO lavishes attention on your sales rock-star, generating the highest performance by giving it the right emphasis and focus in your marketing arsenal. Later this year, the amount of traffic delivered to mobile devices is expected to exceed that delivered to traditional desktop devices. This dramatic explosion in mobile usage has created a whole new world of effective SEO techniques for companies to use – tactics like local SEO. SEO can make your brand stronger, better and well recognised. These days, everybody “Googles it”. If you’re there, right on top of the SERPs, you’re way ahead of the game as your credibility has received a huge boost because psychology kicks in and prospects will believe that you’re the best. If you’re right where your customers are, at the right moment, with the right solution, you’ll win big. But being there is only part of the puzzle. You need more. You must get inside the heads of your prospects. Speak their language. Feel their pain. Present them with a solution. Once you do your credibility with your audience gets a massive shot in the arm. 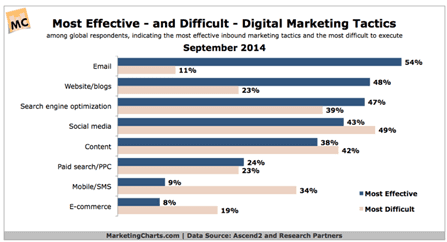 While SEO is a long game, digital advertising is the short game. Digital advertising, such as Google AdWords and Facebook Ads, gives you the means to instantly connect with online shoppers. The great thing about digital advertising is you only pay when people click on your ad. And if you take care to write honest, engaging ad copy that is consistent with the promises found on your landing page – and if you’re prepared and able to place a high enough bid – then you’re almost assured of a high-ranking listing above the top organic search results. According to Google’s data, the click-through rate for a first-position mobile search ad is 27.7%, and the click-through rate for an equally placed ad on a desktop browser is 19.3%. Both figures demonstrate the potential that digital advertising has to drive prospective customers to your website. There’s just one catch. If you launch an advertising campaign before your site is ready, you could end up paying for traffic that doesn’t convert into customers for your practice. So, it’s vital that you ensure that your ad landing pages are structured logically and are consistent with your ad copy so that they don’t turn shoppers away. I have been saying over and over again “The money is in the email list”, it really is, especially nowadays you can retarget your email list via Facebook remarketing , isn’t it an incredible tool? Despite being an “older tactic”, email marketing still yields great results. The goal of email marketing is to steadily build an email list of customers and prospective customers for your practice. You must be wondering …how do I build an email list? By simply encouraging people to give their emails in exchange for free information, accessing coupons, signing up for contests, or registering to make purchases on your site. As your list grows, you can regularly send emails to these prospects and customers with useful information about new products, hot sales promotions and other news about your practice. Keep in mind that nobody likes being bombarded with ads. That’s why email marketing campaigns are also effective in building a brand for your practice. Launch email campaigns that educate customers about trends in your industry, or send out seasonal “how-to” guides offering relevant and helpful advice. Today’s marketers need to do more with less. They need to connect with their audience in a highly personalised way, while staying on budget. 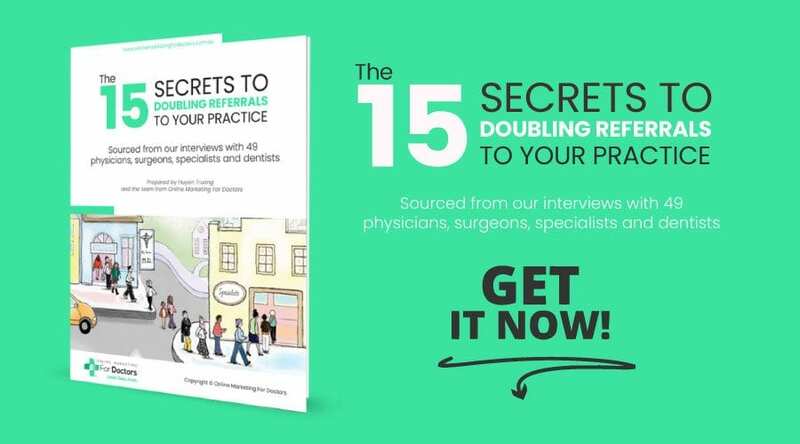 Marketers that are able to do this – engage with their prospects and customers in an extremely targeted way – will be successful in delivering ROI and revenue back to the practice. “If marketers have to choose between adding a subscriber to their email list, or gaining a new Facebook fan, they should go for the email subscriber every time”, says Forrester Research. 90% of email will be received by the intended recipient, whereas only 2% of your Facebook fans see your posts in their News Feed. Your Facebook reach is limited because Facebook limits the number of times your posts appear in the News Feed so that they can drive brands to use their paid advertising options. If you post an update to your 10,000 Facebook fans only about 200 of them will have any chance of seeing it in their News Feed. On the other hand, when you send an email campaign to 10,000 subscribers at least 9,000 of them will receive it in their email inbox. This means that your message is 45 times more likely to be seen by your audience when you send them an email message compared to Facebook. 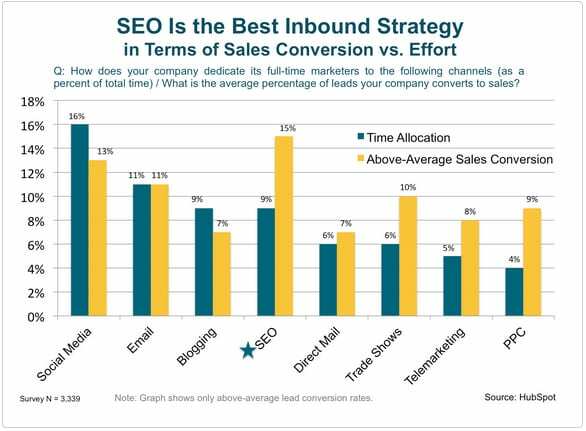 There isn’t a more powerful channel than email when it comes to conversions. The simple fact of the matter is that the average click-through rate of an email campaign is around 3% (of total recipients), which compares more than favourably with the average click-through rate from a tweet which is around 0.5%. The important thing to understand here is that you are 6x more likely to get someone to visit your website via email than you are from Twitter. Remember that your email subscribers have already told you they want to hear from you – and this isn’t typically the case with social connections. Not only does email generate more visitors, it generates more sales. This is demonstrated clearly by a Monetate survey that revealed 4.24% of visitors generated by email marketing buy something compared to 2.49% of visitors coming from search engines and 0.59% generated from social media. And the benefits don’t stop there. Email is highly measurable. We can get real-time access to metrics like opens, clicks, bounces, forwards, social shares, and more. As email can’t be beaten as a means to drive conversions, it makes sense to use email as the most effective marketing channel to drive ROI. For every dollar spent on email marketing, the average return on investment is $38. That works out to be a massive 3,800% return on investment for practices. These statistics clearly show that email is a cost-effective channel for marketers, but why does it consistently surpass other channels so drastically when it comes to ROI? The key is being able to deliver highly personalised and relevant messages. Unlike social networks where you send blanket status updates to every follower without regard for their location, interests & purchase history, email allows you to deliver super-targeted communications to your audience. Having an active social media presence is simply a necessity for most practices now. It doesn’t matter whether you start with Facebook, Twitter, Instagram or LinkedIn, you can create your social media profile for free. And as your social presence grows, you’ll be able to connect and engage with prospective customers by providing them with sales and information that can nurture and educate them. Additionally, high-profile social media pages often show up in organic search results, making investment in social media another aspect of SEO. It’s important to get social media into perspective and not go overboard with it. You simply can’t stretch yourself to be across all platforms on social media. Yes, people use all kinds of social media, and yes it is all free. But the trick is to focus on the social media channels that your customers use the most. 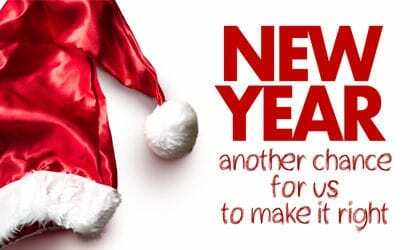 Look upon your social media networks as new channels to distribute your brand’s voice and content. Studies have shown that social media is twice as effective than outbound marketing when it comes to lead to close rates., They also show that a higher number of social media followers constitutes social proof and tend to improve trust and credibility in your brand,. With this in mind, simply focusing on building your audience in social media can improve conversion rates on your existing traffic. A report published by Texas Tech University, demonstrates that brands who engage with clients and prospects on social media channels enjoy higher brand loyalty. Every social interaction you share via blog post, image, video, or comment represents an opportunity for someone to react, and every reaction can lead to a site visit, and ultimately, a conversion. Don’t fall for the trap of thinking that every interaction with your brand will result in a conversion, but remember that every positive interaction will increase the likelihood of an eventual conversion. Even if your click-through rates are relatively low, the sheer volume of opportunities you have on social media daily is considerable. Google and other search engines may be factoring social media presence into their ranking calculations. Strong brands almost always have a strong social media presence. As such, an active presence on social media could act as a “brand signal” to search engines that your brand is legitimate, reputable, and trustworthy. That means if you want to rank for a given set of keywords, having a strong social media presence could be almost mandatory. I want to make sure I know which digital marketing topics you care about most. 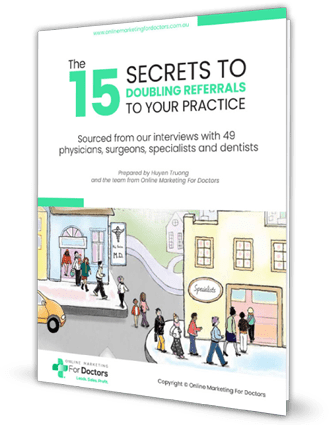 When establishing a Digital Marketing Campaign for your practice, you cannot rely only on a single resource to generate all the results you wanted. While each of these digital marketing channels has their strengths, they also have their weakness such as being inappropriate for certain audiences and practice niches. The best way would be to rely on combining these tools and channels at your disposal and making use of what they have to offer that will help you reach your end goals. Why don’t you let me know which channel has worked well for you and which one you are still trying to get a handle on?